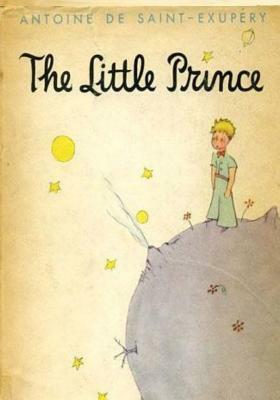 The Little Prince is a poetic tale, in which a pilot stranded in the desert meets a young prince fallen to Earth from a tiny asteroid. The story is philosophical and includes social criticism, remarking on the strangeness of the adult world. It was written during a period when Saint-Exupery fled to North America subsequent to the Fall of France during the Second World War, witnessed first hand by the author and captured in his memoir Flight to Arras. The adult fable, according to one review, is actually ..".an allegory of Saint-Exupery's own life;his search for childhood certainties and interior peace, his mysticism, his belief in human courage and brotherhood.... but also an allusion to the tortured nature of their relationship." Though ostensibly styled as a children's book, The Little Prince makes several observations about life and human nature. For example, Saint-Exupery tells of a fox meeting the young prince during his travels on Earth. The story's essence is contained in the lines uttered by the fox to the little prince: "One sees clearly only with the heart. What is essential is invisible to the eyes." Other key thematic messages are articulated by the fox, such as: "You become responsible, forever, for what you have tamed." and "It is the time you have lost for your rose that makes your rose so important." The fox's messages are arguably the book's most famous quotations because they deal with human relationships.